Excitement filled the halls of the new Energy Institute High School on Thursday as the school opened the building for the first time to welcome its incoming students to Freshman Signing Night. This entry was posted in 2012 bond, 21st century schools, Business Operations, District IV - Jolanda Jones, District VIII - Diana Dávila, Magnet/School Choice, New schools, News and tagged 2012 bond, Build HISD, Energy Institute High School, Energy Institute HS on April 9, 2018 by HISD Communications. Each year, Reliant Energy donates school supplies to HISD schools in August, but this year the company added something extra—a Goal Zero Yeti generator valued at more than $2,000. The lucky recipients are the students at Energy Institute High School, and they saw a demonstration of the small but powerful generator during their freshman orientation on Aug. 10. 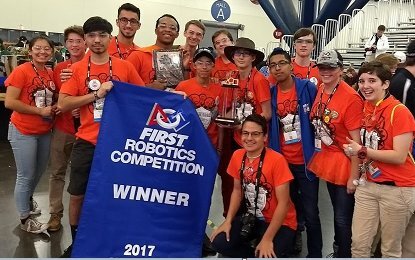 This entry was posted in News, Special events and tagged Energy Institute High School on August 11, 2017 by HISD Communications. 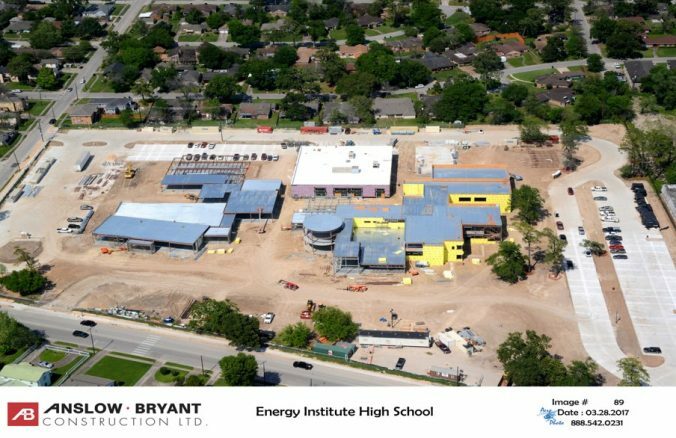 Construction on the new Energy Institute High School is almost halfway complete, with one building completely enclosed and the other two soon to follow. Located at the rear of the new campus, the enclosed building — known as Building C — has a roof, walls and windows, as well as brick going up on the exterior, project officials said. All overhead mechanical, electrical, and plumbing infrastructure has been installed, and the building soon will have permanent power access via a CenterPoint Energy transformer. 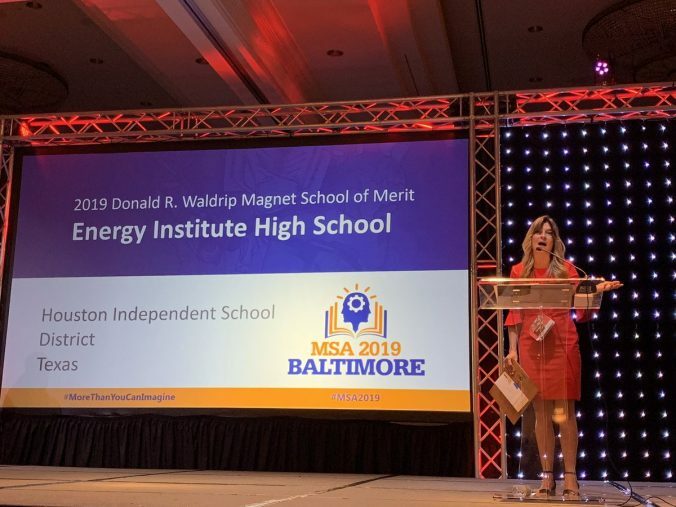 This entry was posted in 2012 bond, 21st century schools, District VIII - Diana Dávila, High Schools, Magnet/School Choice, New schools and tagged 2012 bond, BuildHISD, Energy, Energy Institute, Energy Institute High School, Energy Institute HS, The Energy Institute on May 11, 2017 by HISD Communications. Wilson Montessori and Energy Institute High School will hold groundbreaking ceremonies in November to celebrate the start of construction on their new buildings. This entry was posted in 2012 bond, 21st century schools, District IV - Jolanda Jones, District V - Sue Deigaard, District VII - Anne Sung, District VIII - Diana Dávila, Elementary Schools, Green Building, Green Schools, High Schools, New schools, News, Special events and tagged 2012 bond, Energy Institute High School, groundbreaking, wilson montessori on November 11, 2016 by HISD Communications.